Three more megaships will ply Southeast waters next year as the cruise industry expands in Alaska. Southeast Alaska’s marine pilots are using computer models to see how the big ships hold up under extreme conditions. It was towards the end of last year when three cruise lines announced they were planning to bring their largest ships to Southeast. “It kind of caught us off guard,” said Capt. Jeff Baken, a marine pilot. The state of Alaska requires licensed pilots like him to oversee navigation of cruise ships while they’re in state waters. “We decided that given our charter by the state which is to protect the life and property and pristine waters of Alaska, that we needed to do what we could to study these ships,” Baken said. This was back in 2017, and the first megaship, the 5,700-person Norwegian Bliss, was set to arrive in just a few months. “It’s very comparable to the world’s largest ships,” Baken said. That led Southeast Alaska Pilots Association to phone up the cruise line in advance. “The cooperation we received from Norwegian Cruise Lines was awesome,” he said. The conversations resulted in Baken and another Alaska pilot spending a week aboard one of the Bliss’s sister ships. “They even gave us control of the ship two different evenings and said, ‘Do what you wanna do,’” Baken recalled. The real-time data gathered allowed the pilots to calibrate their computer model. That was then fed into a simulator for virtual sea trials. “We have a long tradition of working with Alaska pilots and it’s always been really good,” said Capt. Bjorn Hansen, vice president of nautical operations for Norwegian Cruise Lines. 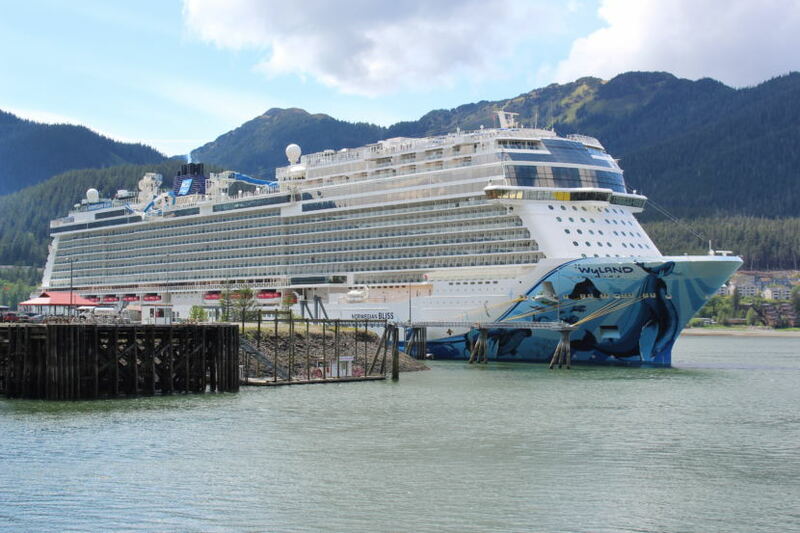 The study’s recommendations included staying out of the scenic Tracy Arm, something the Norwegian Bliss already does. “Because of the turns combined with the very strong currents and floating ice, we decided that we would stay away from that area,” Hansen said by phone from his office in Miami. Norwegian paid for the computer model; the independent pilots paid for the simulator and study which was published earlier this year. Marine pilot Barry Olver said it was key the Southeast pilots bankrolled the study. It maintains their independence and ensures the data is public. “We work in the public’s interest and we want to make sure the public is aware of what we find,” Olver said. Now, the Southeast pilots are working on a second round of studies before next year’s cruise season which will see four megaships: Norwegian Bliss and its sister ship Norwegian Joy; Princess Cruises’ Royal Princess; and Royal Caribbean International’s Ovation of the Seas. The computer simulator replicates specific conditions. Olver said they’ve programmed parts of the route like Juneau’s cruise ship berths in Gastineau Channel. “We mimic wind and current conditions for the harbor,” Olver explained. They make it interesting: gale force winds, erratic currents and virtual obstacles appear at the touch of a button. “We ramp that up until we get to the point were it’s beyond the capabilities of the ship,” Olver said. 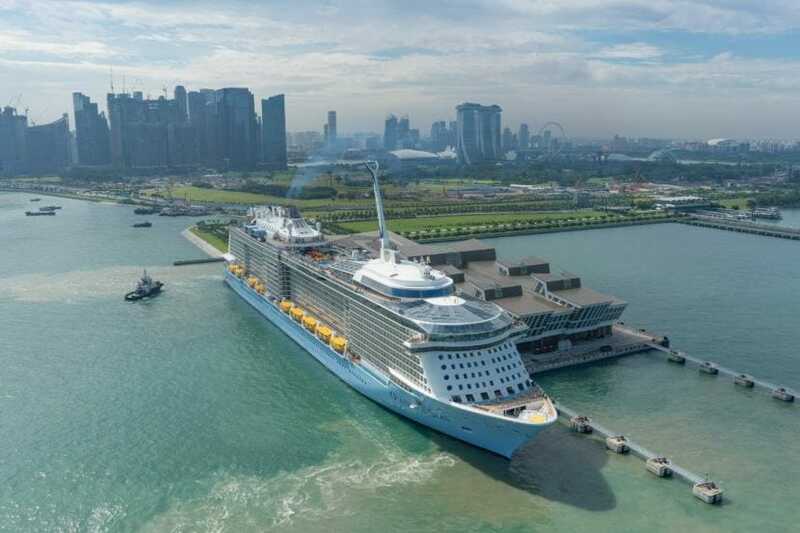 The pilots have already received a computer model from Royal Caribbean’s Ovation of the Seas which is designed to carry more than 4,900 passengers and 1,500 crew. 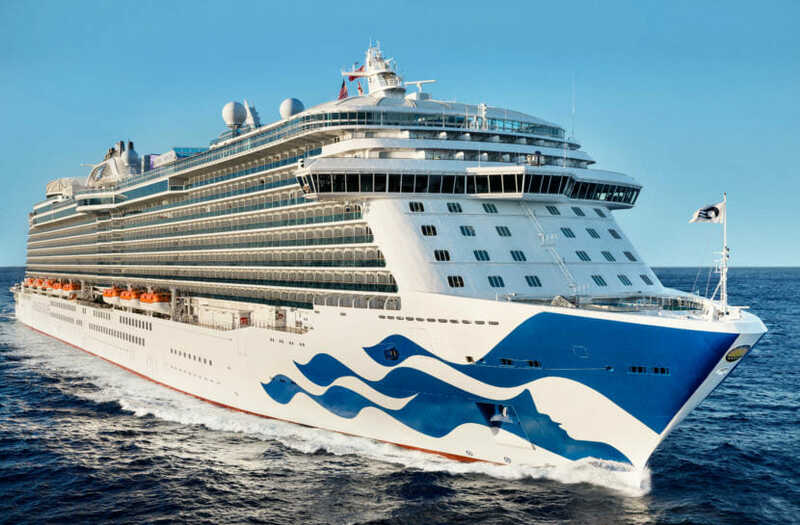 Negotiations are still ongoing with Princess Cruises for a model of the Royal Princess. “Our marine services team is engaged with the Southeast Alaska Pilots Association to provide what is needed to make this happen,” Princess Cruises spokeswoman Negin Kamali wrote in an email. Olver said with or without the company’s cooperation, the pilots will be able to run a model of the Royal Princess on the simulator. “It’s all about mitigating the risk and knowing what we have before it gets here,” Olver said. The simulations will run at the state’s maritime training center in Seward in December. Their findings will be published soon after.